Our team of experts began playing online casinos 20 years ago, and during those two decades they've learned how to spot safe Internet casinos and how to identify dangerous ones. Our guide to Australian online casinos recommends reputable websites protected by the highest levels of online security. Gambling is a risky enough hobby without risking the security of your personal information. 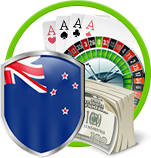 When deciding on which online Australian casino to gamble at, choose from our list of reliable and safe operators. Many aspects determine whether an online casino is safe. Our team tests transactions, making sure the payments and deposits are safe and your personal information cannot be intercepted by thieves. We also require casinos we recommend to feature encryption of all financial data. Sites also must be legal and audited for all Aussies. We look for e-Commerce and Online Gaming Regulation and Assurance's Seal of Approval, a Technical Systems Testing approval, and a SSL certificate. Headquartered in London, the e-Commerce and Online Gaming Regulation and Assurance is the leading testing agency in the world. When gambling online, always make sure you see eCOGRA's Seal of Approval. eCOGRA provides players with data monitoring, analysis, and certification services for over 100 leading gambling websites. Their analysis tests live gambling results to determine whether the casino is playing fair. eCOGRA randomly performs these evaluations twice a year on blackjack, roulette, video poker, poker, bingo, and skill games such as backgammon and mahjong. The second area eCOGRA investigates is payments by online casinos. 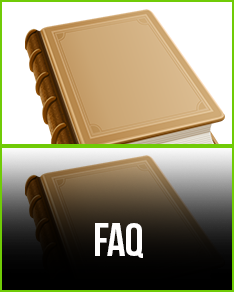 Payout reviews for a player's winnings must be completed in a timely and sufficient manner. They also must be paid in full. Another sign of a safe and secure online casino is certification by Technical Systems Testing, a compliance and quality assurance company with offices in Vancouver, London, the Netherlands, Italy, Macau, and Manila. 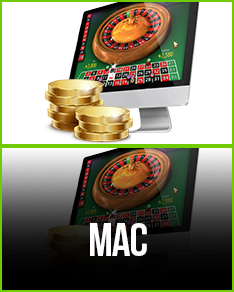 TST assesses casino sites by using various devices such as computers and tablets to assure cross-platform consistency. 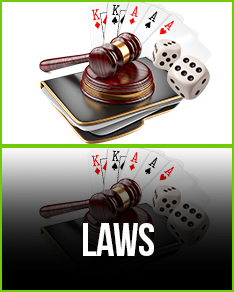 TST compliance testing ensures the randomness of casino games is represented in the online casino. Payout verification and full security audits also factor into their compliance tests. Secure Sockets Layer, commonly referred to as SSL, is the leading security technology for Internet financial transactions. SSL establishes encrypted connections between a site's server and the player's computer. SSL enciphers sensitive information such as credit card number, bank accounts, tax information, login credentials, and more. The scrambling and encrypting of your private information makes it nearly impossible for hackers to intercept the data. Only the server and player's computer can understand the encoding. All sites we gamble at and recommend possess SSL technology. This security protocol protects confidential information for millions of Internet users every single day. If a casino doesn't come with SSL, you should never enter any information you consider private. When you're ready to cash out, online casinos can often take their time in verifying your identification. This is both a good and bad thing. On one hand, you don't want an online casino immediately paying out your money before verifying it's actually you who wants to cash out. On the other hand, these delays can be lengthy and unnecessary. Many players feel the delays are simply excuses for the casino to hold on to your money for longer. 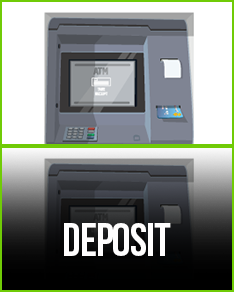 Before you can withdraw money from your account for the first time, by law you'll need to submit identification documents. While logged into your account, you can upload copies of your passport, banking card information, and other required information to prove residency. The Australian online casinos our experts recommend keep this process as short as possible. Every effort has been made to expedite payments on our trusted casinos, and customer service is readily available should delays occur.